The site is to the west of the village, on the N17. 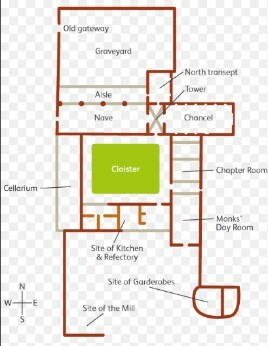 Remains: these are much more extensive than the visitor might imagine at first glance, since the modern entrance is from the back of the old building; the church, tower, large sections of the transept and aisle are almost complete; a large part of the convent still stands, but on the south, or exceptional, side of the church, traces of out buildings and the original gateway into the friary are in evidence. 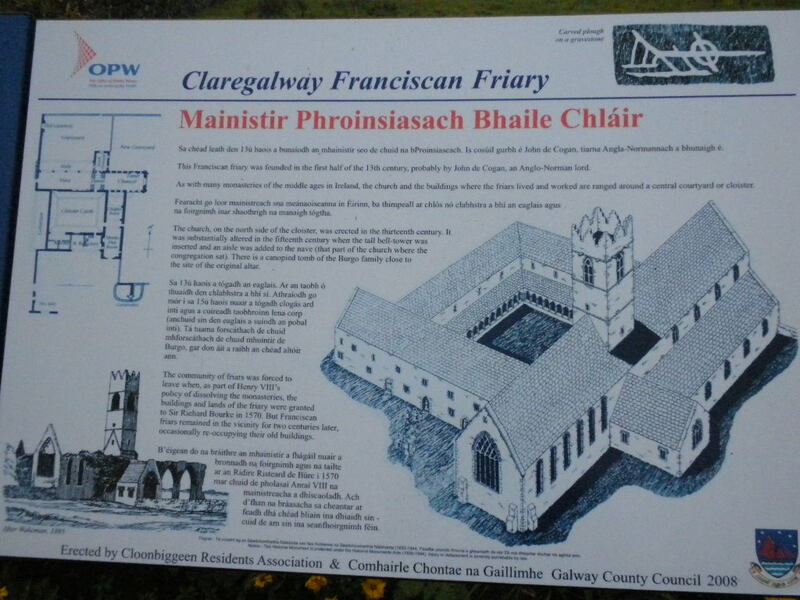 John de Cogan, who also founded the Carthusian house at Kilnalahan, invited the friars to Claregalway about 1250. One of the largest friaries in the country, it remained Conventual until right up to the time of its Suppression under Henry VIII. 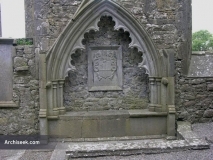 The friars managed to remain on until 1589. It was only in 1641 that a regular community was re-established there. Expelled by the Cromwellians, the friars returned after the Restoration. There was a community of five living in the old friary in 1766 and four in 1801. 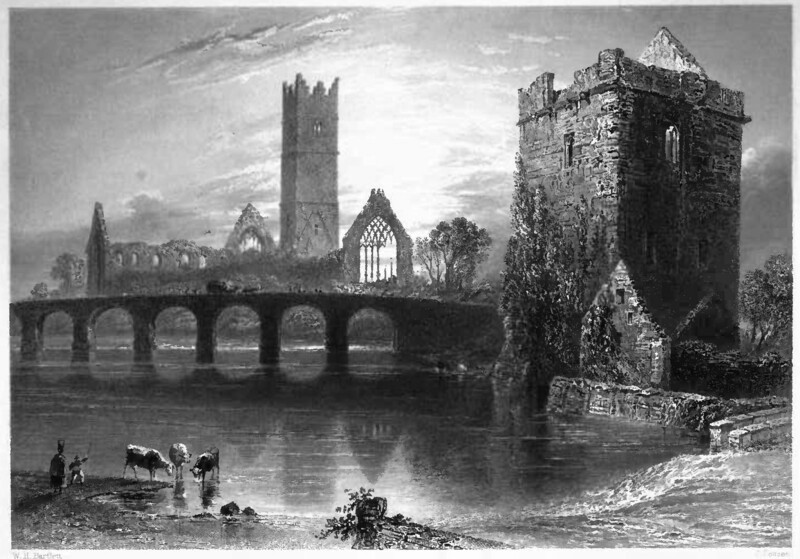 At some time during the 1850’s the remaining community withdrew to Galway city, but travelled out regularly to say mass in Claregalway over a period of about twenty years. Tradition has it that Fr. 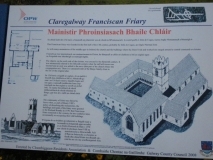 John (Anthony) Francis was the last resident friar in Claregalway. He died in 1858.